Shamorie Ponds against California on Monday, Nov. 19. @StJohnsBball. 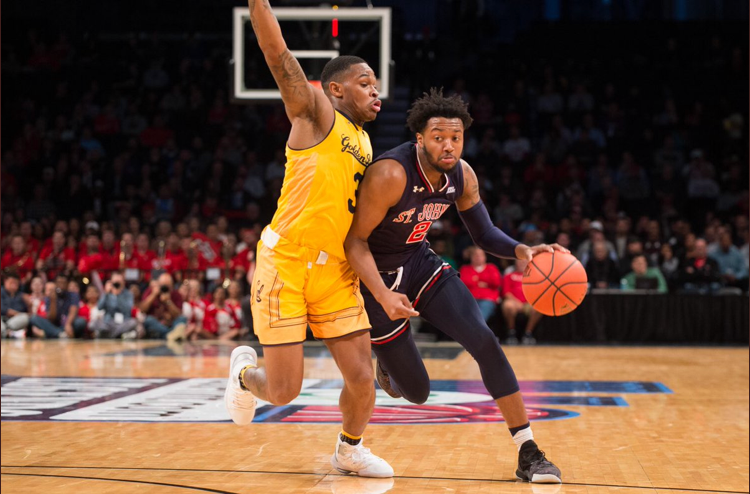 Shamorie Ponds had a record-shattering pair of performances to lead St. John's to the Legends Classic title, and that earned him Big East Player of the Week honors, it was announced on Monday morning. Monday, November 19, followed by 35 the next night against VCU. In the two wins, he averaged 33.5 points, 6.0 assists, 4.0 steals and 3.0 rebounds, leading St. John’s to its first victory at a November tournament since the 2010 Great Alaska Shootout. His 67 points shattered the previous two-game Legends Classic record of 52 set by Texas’ AJ Abrams during the inaugural event in 2007. The following night, Ponds scored 25 of his season-high 35 points after halftime, leading the Red Storm to a thrilling 87-86 overtime victory over VCU in the championship game of the Legends Classic. Ponds tallied the Red Storm’s final six points, going 4-for-4 from the free throw line before banking in the game-winning floater following a full-court drive with less than five seconds to play. 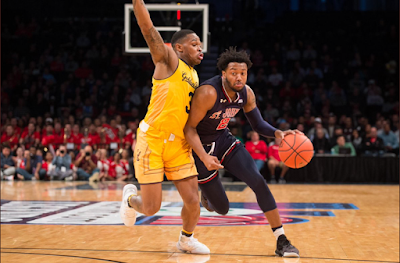 In addition to his third-career 35-point effort, Ponds also set a new career high with seven steals and recorded seven assists with only one turnover in 44 minutes. The Big East Preseason Player of the Year became just the ninth student-athlete in St. John’s history to record seven or more steals in a single game and the first Johnnie to do so since Sir’Dominic Pointer in 2014. Ponds and the Red Storm return to action on Tuesday night at 6:30 p.m. against Maryland Eastern Shore.